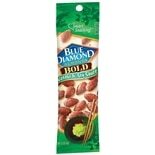 Shop Blue Diamond Bold Almonds Wasabi and Soy Sauce (1.5 oz. )1.5 oz. 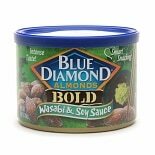 Shop Blue Diamond Bold Almonds Wasabi & Soy Sauce (16 oz. )16 oz. 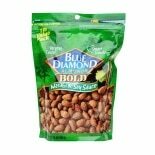 Shop Blue Diamond Bold Almonds Wasabi & Soy Sauce (6 oz. )6 oz.